One of the great Scottish poets of last century was William Soutar. His life was a tragic one. He died in 1943 aged only forty-five. For twenty-five years he suffered a debilitating illness, and for the last ten years of his life he was completely helpless. Yet he had this great gift of writing and in spite of his own tragedy he was a man of wit and a storyteller of some note. This is one of his stories that tells of the importance and effect of little things. There was once a wood cutter's wife who forgot to put salt in her husband's morning porridge. When he angrily complained, she told him that he was a fool to make such a fuss about so trifling a matter. This infuriated the wood cutter, and commencing work in the forest he lashed out at a tree with such force and venom that the axe head flew off. It injured his employer's favorite horse that was being led to the blacksmith's shop. That horse was to have taken his employer, a nobleman and an important man in the district, to a meeting of Lords that was to discuss their differences with the King. Because of his anger and foul mood due to the need to arrange for another horse, he successfully argued for an uprising against the King. In the rebellion that followed many were killed, and there followed a period of poverty, famine and unrest. This rebellion, loss of life and suffering happened because a wood cutter's wife forgot to salt her husband's porridge. The point of this story is to relate how little things can have a widespread effect. 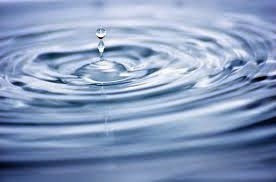 Rather like throwing a stone into a pond and seeing the ripples spread out and reach the shore. If we are young, middle aged or even retired we may feel that there is little we can do, or want to do, that will greatly affect others. This is untrue. Every action, every good deed, every performed service, every outreach, has an effect on someone, somewhere. We are God’s hands and feet - have you used yours today? Dear Lord, we pray that our actions and reactions would be done out of love and not anger. In Jesus’ Name, Amen. Alfred Nobel (1833-96) was a Swedish chemist who invented dynamite. During his lifetime, he made millions of dollars from the manufacture of high explosives. His inventions so magnified the killing power of weapons that some trace the history of modern warfare to him. One morning in 1888, Nobel opened his newspaper only to find an article about his death! It was his brother who had died, however, and a careless editor had run the more famous Alfred's obituary. What a shock and revelation the experience proved to be! 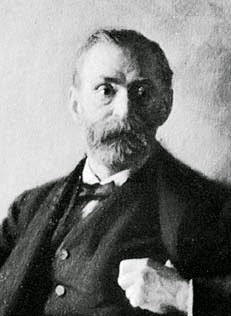 Alfred Nobel was afforded the opportunity to see himself through the eyes of his peers. Much to his chagrin, the article about Nobel portrayed him as the Dynamite King and let him know that he would be remembered as a merchant of death who made a fortune by making war more destructive. His legacy to the world would be more efficient methods of killing people. Dismayed over such a prospect, Alfred Nobel determined to do something about it. Under the conditions of his will, he left more than $9 million to fund five prizes to be distributed yearly in equal parts to those who were judged to have contributed most to helping mankind. Thus did the man who invented dynamite forever link his name to the cause of peace. How will people remember you? As someone who loved his company and did things with his family, or vice versa? As a person of integrity? As one whose genuine faith produced the good fruit of Christian behavior? As with Alfred Nobel, you can choose how you will be remembered. Will you be remembered as one that loved God and did all you could for Him? Dear Lord, we pray that we would be people of integrity. Help the things that we do and are remembered for would bring honor to You. In Jesus’ Name, Amen. 17 If anyone has material possessions and sees a brother or sister in need but has no pity on them, how can the love of God be in that person? 18 Dear children, let us not love with words or speech but with actions and in truth. Greatness is too often defined by an unusual act of courage or a life of extraordinary merit or virtue. But glimpses of greatness can be seen all around us, and especially in those who genuinely care for others. Father Albert Braun was such a man. After his ordination, he requested to live amongst some of the poorest of the world's poor. He was sent to the Mescalero Apache reservation in south central New Mexico (USA). Father Braun learned to love the Apache. 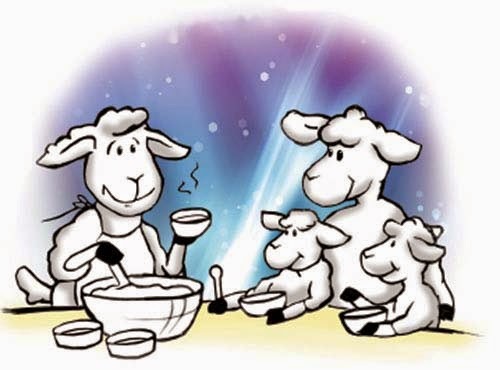 And as he lived with them, he learned from them and they learned from him. They became family. He stayed many years on the reservation but left it twice to serve as a chaplain during both World Wars. He almost died in World War II when his Allied forces tried to defend the Philippine Islands from attack by the Japanese. Many of his comrades died during the fighting and Father Braun risked his own life to comfort the wounded and give the dying Last Rites. He was forced to march with no food and little water. Along the way, many more of the men died. And in the prisoner of war camps, more lives yet were lost to disease, cruel physical treatment and malnutrition. 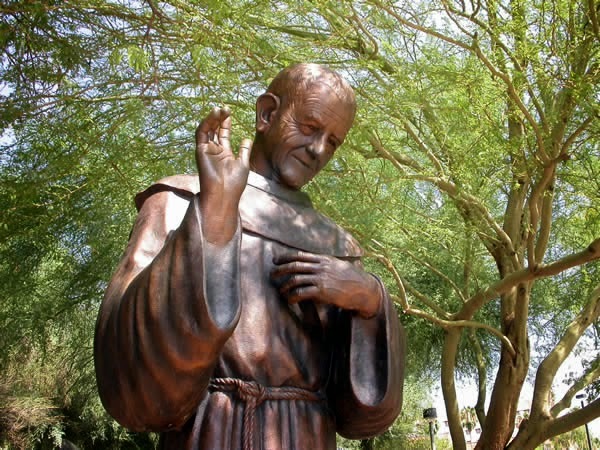 Father Braun had learned much from the Apache about surviving off the land. When he went out on work detail, he found fruit and edible vegetables which he smuggled back into the camp to help supplement the men's diets. Once he acquired the vaccine for diphtheria which he also secreted into camp, but it wasn't enough. They drew lots to determine who would get the medicine. Though afflicted himself, he gave his portion to a young soldier. Before long, he suffered simultaneously from diphtheria, malaria, dysentery and beriberi. He barely survived. After the war he asked to be returned to New Mexico to live once again with the Apache. When he knew that his own death was near, Father Braun requested to be buried on the reservation, surrounded by his Apache "family." Today, at the church of St. Joseph, one can see portraits of the Apache's greatest chiefs and warriors. There is a portrait of Geronimo, one of Cochise, a picture of Victorio and a portrait of Father Albert Braun, who came to live among them as a true friend. Father Braun showed a certain greatness, not by any one heroic deed, but by the sum total of a life of caring. Such glimpses of greatness can be seen shining from the hearts of all who care. Dear Lord, give us a caring heart today. Help the world around us see that we care and that that care comes from God. In Jesus’ Name, Amen. For this very reason, make every effort to add to your faith goodness; and to goodness, knowledge. In 1964, Margaret Powers was engaged to be married. After an inspirational walk along the beach with her fiance, she wrote a poem called “Footprints.” She rewrote it on a piece of paper, placed it in a sealed, postmarked and mailed it to herself, a procedure sometimes used to establish copyright. She began to see the poem on numerous greeting cards and in 1987, lawyer friends tried to persuade her to take her case to court when others tried to take credit for the poem. But she changed her mind saying: "A lawsuit would have lasted a lifetime. A court case could have taken the poem out of circulation. I would be the winner monetarily, but would I be a real winner?" In 1988, Hallmark was persuaded she was the author and began paying Margaret an annual fee, although other publishing companies continued to use "Footprints," asserting the author is unknown. Margaret uses the royalties from her poem to fund her ministry in the poorest areas of Mexico. She fully believes the biblical warnings that rich people will be expected to account for use of their money. In retrospect, she considers herself blessed: "After all, when I'm dead and gone, will it really matter who wrote 'Footprints'?" Do you desire to do good in all that you do? Dear Lord, thank You that You an example to each of us for doing good. Help us seek Your goodness in everything that we do. In Jesus’ Name, Amen. The date is June 24, 1859. Suddenly, there he is, atop a hill overlooking the plain of Solferino. Napoleon's troops prepare for battle with the Austrians below, and Henri Dunant has a box-seat view from his place on the hill. Trumpets blare, muskets crack and cannons boom. The two armies crash into each other, as Henri looks on, transfixed. He sees the dust rising. He hears the screams of the injured. He watches bleeding, maimed men take their last breaths as he stares in horror at the scene below. Henri doesn't mean to be there. He is only on a business trip - to speak to Napoleon III about a financial transaction between the Swiss and the French. But he arrived late and now finds himself in a position to witness first-hand the atrocities of war. What Henri sees from his hill, however, pales in comparison with what he is soon to witness. Entering a small town shortly after the fierce encounter, Henri now observes the battle's refugees. Every building is filled with the mangled, the injured, and the dead. Henri, aching with pity, decides to stay in the village three more days to comfort the young soldiers. He realizes that his life will never be the same again. Driven by a powerful passion to abolish war, Henri Dunant will eventually lose his successful banking career and all his worldly possessions only to die as a virtual unknown in an obscure poorhouse. But we remember Henri today because he was the first recipient of the Nobel Peace Prize (in 1901). We also remember him because of the movement he founded - the Red Cross. Act One of Henri Dunant's life closed June 24, 1859. Act Two opened immediately and played the remainder of his 81 years. Many people's lives can be divided into Act One and Act Two. The first performance ends when one decides to ultimately follow a new direction or passion. Henri Dunant's old life, driven by financial success, prestige and power, no longer satisfied. A new Henri Dunant emerged in Act Two; one who was motivated by love, compassion and an overriding commitment to abolish the horrors of war. For some, Act Two may begin with a conversion, or a turning point. Others speak of a defining moment. However it is understood, the "old self" is laid to rest and a new self is born - one governed by principle, spirit and passion. Are you ready for Act Two? 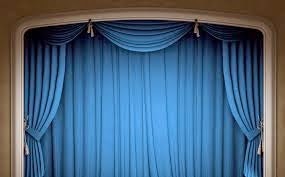 If you haven’t entered act two yet why not open that curtain today? Turn your life over to the Lord today. Dear Lord, thank You for what You have done for each of us. Help us to end act one and begin act two today. In Jesus’ Name, Amen. There once was a boy named Billy. His grandfather had a sling shot. One day he asked his grandfather if he would teach him how to shoot the sling shot. His grandfather took into the back woods and began to teach the boy. The grandfather told Billy to go and practice for a while. Billy was in the woods , alone, and kept missing everything he shot at. Billy, on his way back to the house, saw his grandfather's duck and decided to try his aim with the sling shot once more. Billy took aim and shot at the duck and hit his mark!! The duck fell over dead! Billy took the duck, buried it in the ground. As he looked up he saw his sister, sally standing there watching him attempting to hide his deeds. Sally and Billy went back into their grandparents house. As they did so, Billy told Sally not to say anything. Sally said, sure, no problem. The kids grandfather told Sally to go into the kitchen and help her grandmother wash the dishes. Sally said, "Billy is the best dish washer in the family, he would love to wash the dishes. Remember the duck?' Billy washed the dishes that night. The next day Billy's grandfather said, "Billy lets go fishing today. Sally, your grandmother needs your help around the house, so stay here and help her out." Sally responded," Billy hates fishing but loves house work. Isn't that right Billy?" Billy thought for a minute and decided to confess. Much to his surprise, his grandfather said, "I know you killed the duck. I saw you through the window. I also saw your sister standing there watching you. I just wanted to know how long you would let yourself be your sister’s slave." How long will you let yourself be Satan's slave because of unconfessed sin?? Confess your sin to God, He already knows, He simply wants you to confess it to Him and ask for His help. He will help you rid yourself of Satan's grip on your life. Just ask Him. Dear Lord, thank You that You area forgiving God. Help us not hold our sins inside, but instead ask Your forgiveness for them so that we can be free of them. In Jesus’ Name, Amen. That morning of December 6, 1917, Vincent Coleman said good-bye to his lovely wife, Frances, and their four children, and went to work at the Richmond railway station in Halifax Nova Scotia. His workplace was a small wooden station a midst the Richmond rail yards, in close proximity of the harbor. He was feeling cheerful that sunny morning, for he enjoyed his job as a dispatcher. As he relieved the night dispatcher at the telegraph office that fateful morning, a muffled crash could be heard in the distance, followed by a column of black smoke rising off the harbor to fill the horizon. A naval officer suddenly appeared at the dispatcher's shack, warning them of an imminent explosion. The noise and smoke had been caused by a collision at sea: After a series of misguided maneuvers, the French ship Mont-Blanc, loaded with tons of ammunition, had been struck by the Norwegian vessel Imo. "Hold up the train. Ammunition ship afire in harbor making for Pier 6 and will explode. Guess this will be my last message. Goodbye boys." At 9:05 am, just after Vincent had sent his message, the Mont-Blanc exploded. 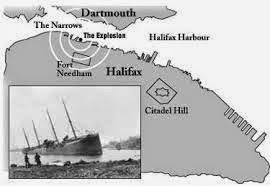 Vincent's station was obliterated, so was a large part of Halifax. Vincent had sacrificed his life so that others would survive. Vincent loved beyond what was humanly possible. What about us? Would we have done the same? Yet we are urged to love even the unlovable. We are encouraged to share the message that Jesus has given us with those around us in order to save them for certain destruction. We are directed to love beyond what is humanly possible! This is only possible if we are united in love! Dear Lord, we pray that we would be united by and in Your love. Help us love beyond what we can humanly do, In Jesus’ Name, Amen. Hurricane-force winds squealed across Lake Erie for the duration of those two days, and the Light Vessel 82, captained by her beloved husband, Hugh, was hit head on. Overwhelmed by the ferocity of the high winds as well as the breaking waves, the crew realized that their fight for survival was hopeless. This wasn't the only vessel to fall prey to this brutal storm. Over 250 people aboard a dozen ships lost their lives. 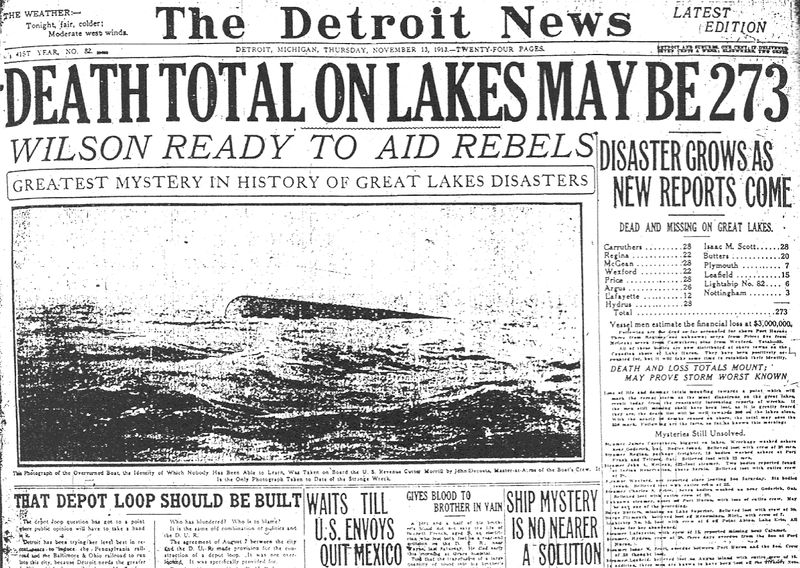 Storm wreckage began to wash ashore at the foot of Michigan Avenue, in Buffalo, NY. Among the debris was a piece of wood from Light Vessel 82. This piece of wood displayed a penciled message from Captain Williams to his wife. Realizing he had but moments to live, his last thoughts went to the one he loved so dearly. He wrote "Goodbye, Nellie, The ship is breaking up fast. Williams." Strangely enough, love is the one thing we struggle with the most! Marriages don't last, and any couple fortunate enough to have been married past the twenty-year mark become an icon in our society. The question they hear most often? "How did you do it?" Undeterred Jesus repeated that same command three times in His last conversation with his disciples. Loving one another should be our only priority, not only as a benefit for ourselves, but also to others who have not heard the great news about what God has done for humanity. So many leave churches after just a couple of visits, because of the utter indifference they find among its members. Where love does not thrive, God's message is lost! In fact God's message can only thrive where love reigns! All those who do not know real love tell but a cheap imitation of the message! The love that Jesus urges us to experience is a deep committed love, one where we gladly "lay down" our lives for our friends. Now some of us may be starting to think: Do I have any real friends? It's never too late to start having real friends. It's as simple as starting to love others the way Jesus did! Pure love is only possible when we get to know our Heavenly Father. Once we start this kind of relationship with God, we'll have no choice but to love the way He does! Will you show that love today? Dear Lord, thank for the pure love that You have given to us. Help us share that love today. Bring that person that You want for us to be a friend to into our path today. In Jesus’ Name, Amen. Moss is quite prominent in Iceland. Although small, each tiny plant intertwines with its neighbors, providing incredible support as they work together to form a hummock. It hungers after the rain, which is quite abundant in Iceland, absorbing it, and the nutrients it brings with it, through its tiny leaves. Woolly Fringe Moss is a widely-found variety in Iceland, as it is well suited for the cold Northern climate. Ideally it prefers temperatures between 40-50 degrees Fahrenheit. However it can tolerate the extremes of heat, frost, and drought. 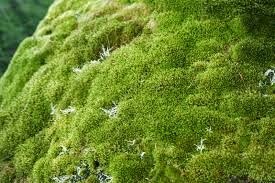 Over time, a tiny, unified colony of moss will grow into hummocks 4 to 24 inches thick, making it quite spongy to walk on. The closeness of the tiny plants that comprise a hummock also discourages colonization by other plants. Without this unity, enemy plants would plant itself in the midst of the moss, thus destroying its effectiveness! These plants remind me of Jesus' ideal for the Christian community. Jesus wants us to be so unified that the enemy cannot enter in! This unity among Christians depends on three important ingredients: love, forgiveness and leaving all control to God's Holy Spirit. In all reality, what makes us one is our belief in the Son, in whom we solely depend! If we remove any of these ingredients, we can be assured that the evil one will take root in our midst and create division and discouragement. Our unique belief in the Son makes us One! With Him at the center of our lives, adversity will have no impact on us. Our strength comes solely from Him! Dear Lord, we thank You for the strength that You give to us. Help us to work together as Your people to protect and guard each other form the evil one. In Jesus’ Name, Amen. The Ninety-Mile beach is a beautiful beach on the North island of New Zealand. Surrounded by dunes, flat sand and an active Tasman Sea, it attracts all kinds of people. However it is far from being a safe place, especially if someone decides to swim in the sea, as did the grandson and granddaughter of a fisherman aged 55, that fatal day on Dec 29, 2009. Both of these kids encountered trouble while swimming. The current was too strong for them, and before they knew it they had swallowed a good quantity of saltwater. Without hesitation, their grandfather jumped into the water to come to their rescue. A beachgoer was able to rescue the granddaughter, but the grandson was in real trouble as the current had him in its grip. The only thing the grandfather could do was to hold his grandson above the water, while his own head was underwater, waiting for a rescuer. After some tough minutes, the grandson was saved, but the grandfather didn't make it. He sacrificed his life for those he loved. May we all learn from this grandfather about what love truly means. Let's take advantage of each day that has been given to us to exercise this love in its fullest vigor. Maybe we will wake up from our slumber and notice that the world around us hungers for pure selfless love! And this is what he promised us—eternal life. 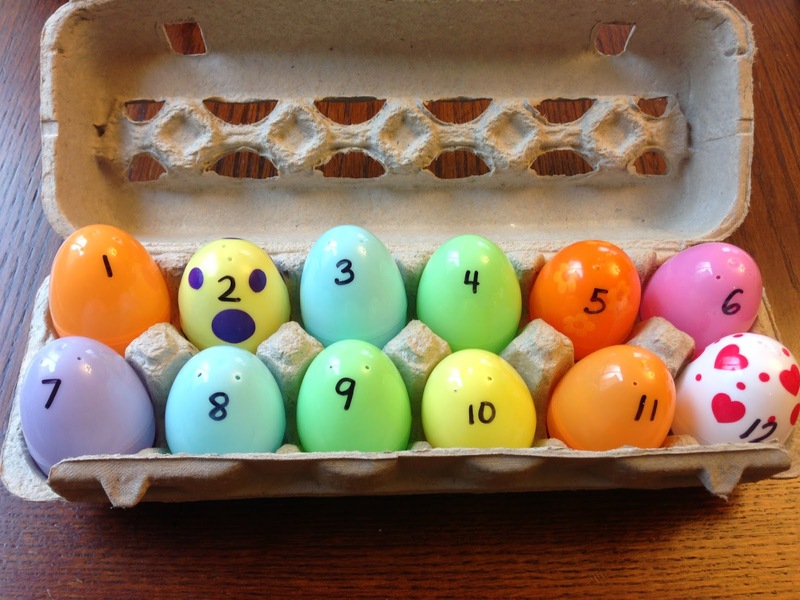 Tomorrow is Easter, the day we celebrate Jesus raising form the dead. Doing that He conquered death so that we all may live eternally with Him. Dear Lord, we fall on our knees and the thought of what You did for each of us. We pray that we would never forget the way You took each of our sins on Yourself so that we could ask forgiveness and be saved. In Jesus’ Name, Amen. Today we pause to honor one of the most tragic days that our planet has ever seen. Sure, many were not killed as in events like 9/11, the Holocaust, Pearl Harbor, World Wars, but the One whom was persecuted ~2000 plus years ago….that death was tragedy. But the wonderful news is that God can turn the world’s worst tragedy into real hope for you and me. The Romans thought they were wiping out the Way, the Light, the One, the Son, the King, the Messiah, and God’s kin on that very day. The day was brutal. This day was incomprehensible. Christ was on the cross asking His own Father…..why He had forsaken Him as He had. 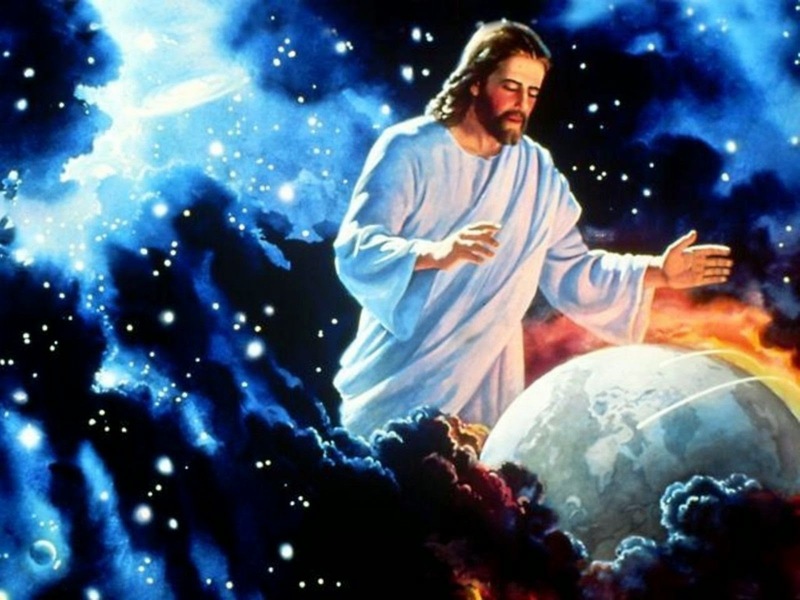 Jesus was enduring more in one day, than we will in our entirety of human existence. Because not only was Christ being beaten and not only was He killed, but Christ was innocent. Christ died for every sin that was ever committed before and after His death. The story dosen’t end there, there is good news! Jesus rose 3 days later, on Easter. 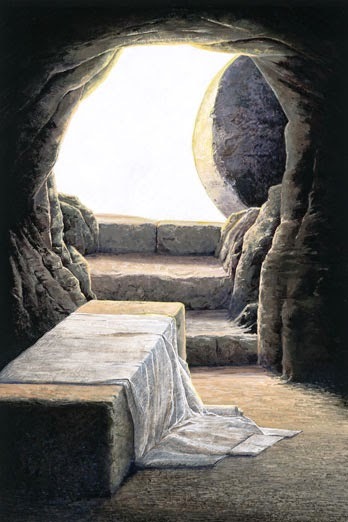 Jesus rolled the stone away and even today, the tomb is completely empty. When Christ died, he died for us and our sins. However, when He rose…Christ rose so that death could forever be defeated. So that if you and I choose, yes we have liberty, we can obtain eternal life for a payment that someone else made for us! Christ paid a price that you and I can never repay. Dear Lord, we pause to thank You for dying on the cross for our sins. Thank You for taking our sin on yourself so that we may live eternally with You. In Jesus’ Name, Amen. At the beginning of the World War II, Israel Eugenio was the chief Rabbi of Rome. The Nazis occupied Rome in September 1943. The Nazi officer Kappler demanded 50 kg of gold in place of the Jews. The Jews feverishly managed to collect 35 kg. The chief Rabbi Zolli realized his helplessness. For the first time he stepped into the Vatican and begged Pope Pius XII: "The New Testament must not abandon the Old Testament!" By afternoon, the Pope got the remaining 15 kg of gold collected from the parishes of Rome. But Kappler took the Jews as well as the gold. The deportation of the Jews from Rome was fixed for 16 October 1943. Out of the 8000 Jews of Rome, the Pope managed to get 4447 Jews hidden in over 150 monasteries and parish houses, hidden against the threat of the highest punishment from the Nazis. Till the threat was over, they were provided with all they needed for survival. On 17 February 1945, eight months after the American Army liberated Rome, in gratitude to the Church for what it did for his people at his request, the Chief Rabbi of Rome, Israel Zolli, after 40 years of rabbinical studies, came to the Church of the St. Mary of the Angels and was baptized into the Catholic Church. He had rejected the New Testament for most of his life, but Zolli accepted Christ after reading the Gospels. He said: "This event, in my soul, was like the arrival of a beloved guest. I began only to hear the voice of Christ expressed more clearly and more strongly in the Gospels. In my soul, God did not reveal Himself at all by means of tempest or fire, but through a gentle murmur... I became aware of a God Whom I loved, a God Who wants to be loved, and Who Himself loves." We can praise the Lord He's the God of Second Chances. If you have you disobeyed God, what would you do if given that second chance? Dear Lord, thank You for the second chance that You give each of us. Help us obediently follow You. In Jesus’ Name, Amen. We can never fathom how much our Heavenly Father suffered when He saw His own Son dying on a cross. Still, we will also never imagine how much He suffered as He watched Adam and Eve follow their own way instead of His, a way that would lead all humankind to suffering and death. He stood up a midst the heavy fighting, and running to the nest, he placed it tenderly back in the branches of the shattered tree, then he watched as the mother bird fluttered down onto the nest. This soldier was willing to sacrifice his own life to save those chicks. Even though he had never even seen these baby robins before, his love for the tiny birds was evident. When he finally found shelter under the oak tree again, he must have smiled. Even a midst the fierce fighting of this senseless war, he had made a difference in the world. But if the soldier was a hero, then even more so Jesus, our super hero! His love was truly evident when He willingly died for us. Dear Lord, Thank You for coming to save us. Help our love always show that. In this day of super heroes thank You for being the best super hero ever. In Jesus’ Name, Amen. "She keeps repeating it over and over again. We've been back to this shelter at least five times. It has been weeks now since we started all of this," the woman told the volunteer. "What is it she keeps asking for?" she asked. "We have plenty of puppies, if that's what she's looking for." "I know. We have seen most of them," she said in frustration. Just then the young child came walking in the office. "Well, did you find one?" "No, not this time," she said with sadness in her voice. "Can we come back on the weekend?" "You never know when we will get more dogs. Unfortunately, there's always a supply," the volunteer said. The young child took her mother by the hand and headed to the door. "Don't worry, I bet we'll find one this weekend," the child said. Over the next few days both mom and dad had long conversations with her. They both felt she was being too particular. "It's this weekend or we're not looking any more," dad finally said in frustration. "We don't want to hear anything more about 'puppy size' either," mom added. Sure enough they were the first ones in the shelter on Saturday morning. By now, the young child knew her way around, so she ran right for the section that housed the smaller dogs. The young girl walked slowly from cage to cage, kneeling periodically to take a closer look. One by one the dogs were brought out and she held each one. One by one she said, "Sorry, you're not the one." "Mom, that's it! I found the right puppy! He's the one! I know it!" she screamed with joy. Mom, startled by all the commotion, came running. "What? Are you sure? How do you know?" she asked. "Yes, it is the same size as all the other puppies you held the last few weeks," mom said. "No, not 'size' ... 'sighs.' When I held him in my arms he sighed," she said. "Don't you remember? 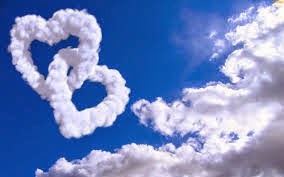 When I asked you one day what love is, you told me "Love depends on the sighs of your heart. The more you love, the bigger the sighs!" The two women looked at each other for a moment. Mom didn't know whether to laugh or cry. As she stooped down to hug her child she did a little of both. "Mom, every time you hold me I sigh. When you and Daddy come home from work and hug each other you both sigh. 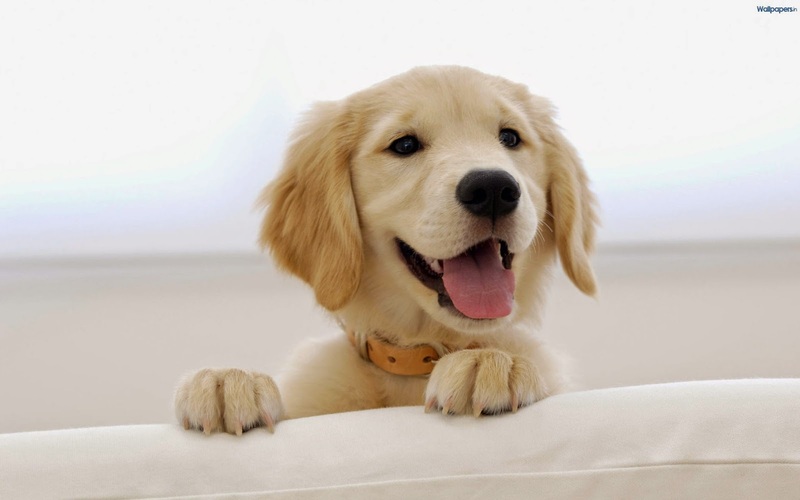 I knew I would find the right puppy if it sighed when I held it in my arms," she said. Then holding the puppy up close to her face she said, "Mom, he loves me. I heard the sighs of his heart." Close your eyes for a moment and think about the love that makes you sigh. I not only find it in the arms of my loved ones, but in the caress of a sunset, the kiss of the moonlight and the gentle brush of cool air on a hot day. They are the sighs of God. 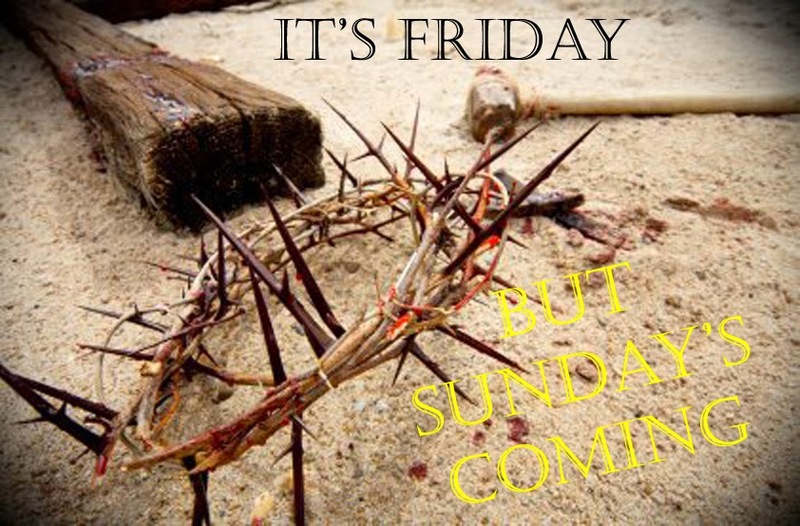 Thank Him today. Dear Lord, help us take a minute today to look at Your handiwork and appreciate all you have done for us. In Jesus’ Name, Amen. The passengers on the bus watched sympathetically as the attractive young woman with the white cane made her way carefully up the steps. She paid the driver and, using her hands to feel the location of the seats, walked down the aisle and found the seat he'd told her was empty. Then she settled in, placed her briefcase on her lap and rested her cane against her leg. It had been a year since Susan, thirty-four, became blind. Due to a medical misdiagnosis she had been rendered sightless, and she was suddenly thrown into a world of darkness, anger, frustration and self-pity. Once a fiercely independent woman, Susan now felt condemned by this terrible twist of fate to become a powerless, helpless burden on everyone around her. "How could this have happened to me?" she would plead, her heart knotted with anger. But no matter how much she cried or ranted or prayed, she knew the painful truth her sight was never going to return. A cloud of depression hung over Susan's once optimistic spirit. Just getting through each day was an exercise in frustration and exhaustion. And all she had to cling to was her husband Mark. Mark was an Air Force officer and he loved Susan with all of his heart. When she first lost her sight, he watched her sink into despair and was determined to help his wife gain the strength and confidence she needed to become independent again. Mark's military background had trained him well to deal with sensitive situations, and yet he know this was the most difficult battle he would ever face. Finally, Susan felt ready to return to her job, but how would she get there? She used to take the bus, but was now too frightened to get around the city by herself. Mark volunteered to drive her to work each day, even though they worked at opposite ends of the city. At first, this comforted Susan and fulfilled Mark's need to protect his sightless wife who was so insecure about performing the slightest task. Soon, however, Mark realized that this arrangement wasn't working - it was hectic, and costly. Susan is going to have to start taking the bus again, he admitted to himself. But just the thought of mentioning it to her made him cringe. She was still so fragile, so angry. How would she react? Just as Mark predicted, Susan was horrified at the idea of taking the bus again. "I'm blind!" she responded bitterly. "How am I supposed to know where I'm going? I feel like you're abandoning me." Mark's heart broke to hear these words, but he knew what had to be done. He promised Susan that each morning and evening he would ride the bus with her, for as long as it took, until she got the hang of it. And that is exactly what happened. For two solid weeks, Mark, military uniform and all, accompanied Susan to and from work each day. He taught her how to rely on her other senses, specifically her hearing, to determine where she was and how to adapt to her new environment. He helped her befriend the bus drivers who could watch out for her, and save her a seat. He made her laugh, even on those not-so-good days when she would trip exiting the bus, or drop her briefcase. Each morning they made the journey together, and Mark would take a cab back to his office. Although this routine was even more costly and exhausting than the previous one, Mark knew it was only a matter of time before Susan would be able to ride the bus on her own. He believed in her, in the Susan he used to know before she'd lost her sight, who wasn't afraid of any challenge and who would never, ever quit. Finally, Susan decided that she was ready to try the trip on her own. Monday morning arrived, and before she left, she threw her arms around Mark, her temporary bus riding companion, her husband, and her best friend. Her eyes filled with tears of gratitude for his loyalty, his patience, his love. She said good-bye, and for the first time, they went their separate ways. Monday, Tuesday, Wednesday, Thursday... Each day on her own went perfectly, and Susan had never felt better. She was doing it! She was going to work all by herself! On Friday morning, Susan took the bus to work as usual. As she was paying for her fare to exit the bus, the driver said, "Boy, I sure envy you." Susan wasn't sure if the driver was speaking to her or not. After all, who on earth would ever envy a blind woman who had struggled just to find the courage to live for the past year? Curious, she asked the driver, "Why do you say that you envy me?" The driver responded, "It must feel so good to be taken care of and protected like you are." Susan had no idea what the driver was talking about, and asked again, "What do you mean?" The driver answered, "You know, every morning for the past week, a fine looking gentleman in a military uniform has been standing across the corner watching you when you get off the bus. He makes sure you cross the street safely and he watches you until you enter your office building. Then he blows you a kiss, gives you a little salute and walks away. You are one lucky lady." Tears of happiness poured down Susan's cheeks. For although she couldn't physically see him, she had always felt Mark's presence. She was lucky, so lucky, for he had given her a gift more powerful than sight, a gift she didn't need to see to believe - the gift of love that can bring light where there had been darkness. God watches over us in just the same way. We may not know He is present. We may not be able to see His face, but He is there nonetheless! Be blessed in this thought: "God Loves You - even when you are not looking." Dear Lord, thank You for watching over us, even when we aren't looking for You, You are there watching to make sure all is well. Help us never forget to be thankful for all You do for us. In Jesus’ Name, Amen.